‘Psychoanalytic Mythologies’ presents a collection of essays on the theme of what it is to be a human subject in a culture permeated by psychoanalytic imagery. ‘Psychoanalytic Mythologies’ presents a collection of essays on the theme of what it is to be a human subject in a culture permeated by psychoanalytic imagery. The author disturbs the strongly-held belief of those in thrall to psychoanalysis that it is universally true, and this thesis forms the recurrent motif that binds these essays together. Instead he argues that psychoanalysis functions as something that is only ever locally true. These arguments are elaborated upon in a range of contexts, from night clubs, garages and trains to theme parks, magic circles and yoga, and the different strands are distilled into a cohesive thesis in the definitive final essay ‘Psychoanalytic Myth Today’. The essays presented here were initially published in scattered newsletters and journals, and were written intermittently in a period stretching back over ten years. 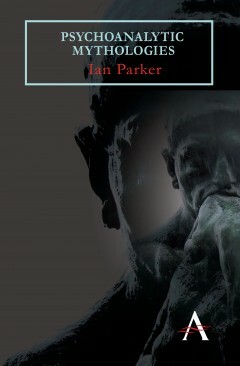 Ian Parker has written widely in this area, and these lively and innovative essays taken together form a searing manifesto against the accepted dogmas of psychoanalysis. Ian Parker is Professor of Psychology in the Discourse Unit at Manchester Metropolitan University, UK.